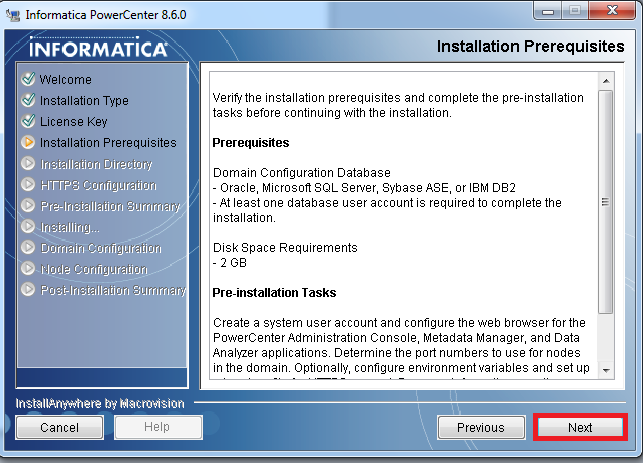 Infallible Techie: How to install Informatica 8.6 server? 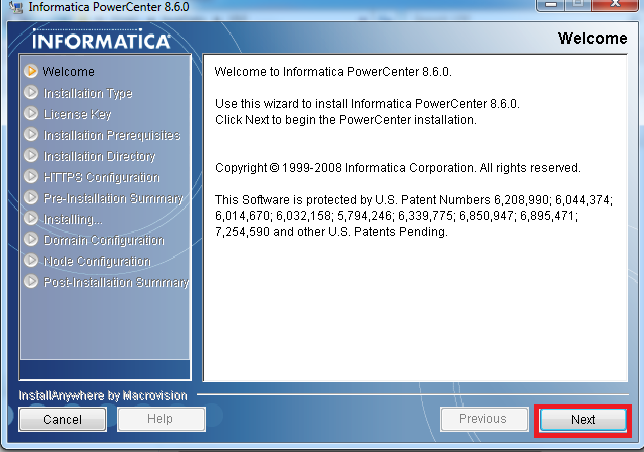 How to install Informatica 8.6 server? 1. Create the below user. 2. Grant access to the user. 3. Create the below user. 4. 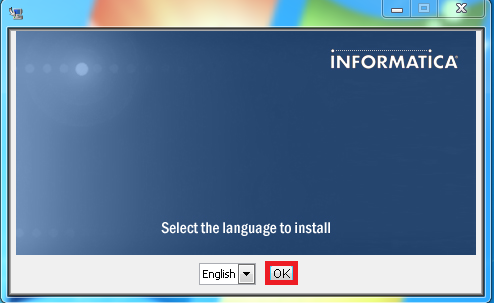 Grant access to the user. 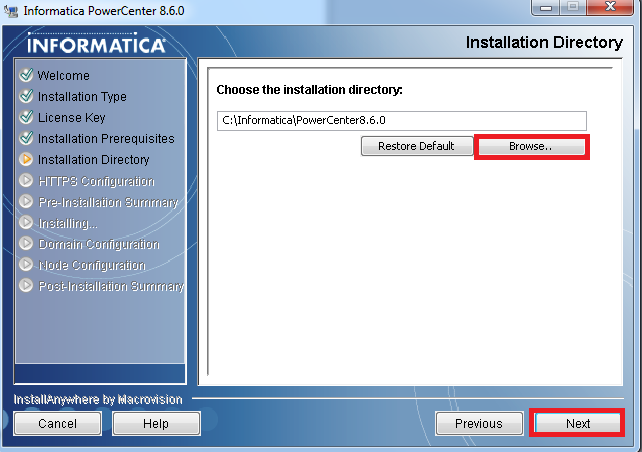 Kindly mention the path where you are going to install the server in the environment variables. 4. 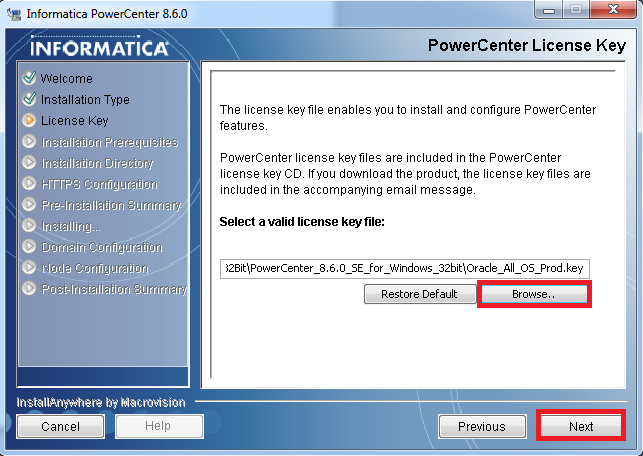 Select license and click "Next". 7. 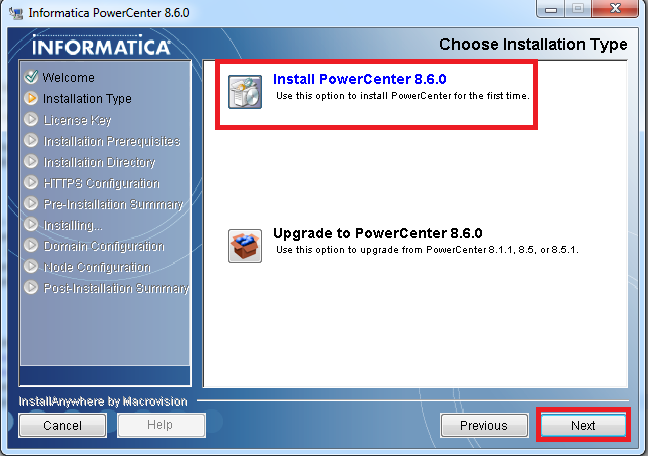 Select location for installation and click "Next". 10. Select "Create New Domain" and click "Next". 11. 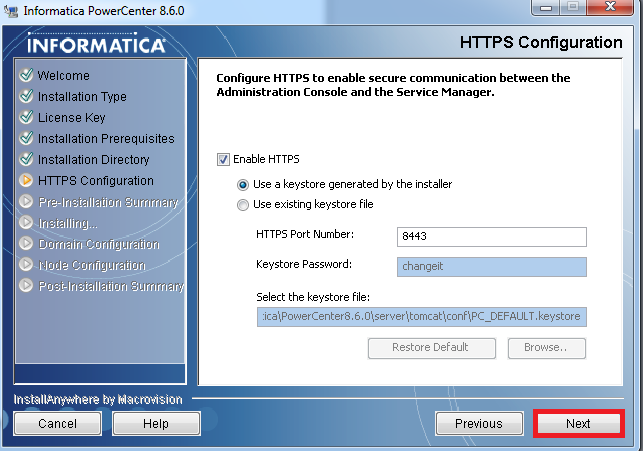 Select the database type, enter your computer name in Database URL, Database user id and password, Service name and click "Next". 12. 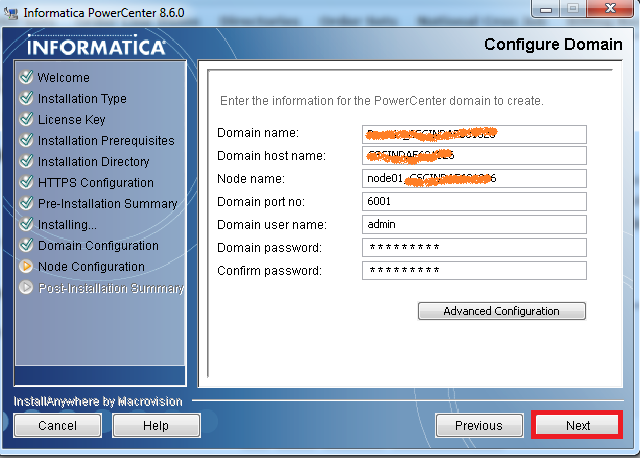 Choose your domain, username and password and click "Next". 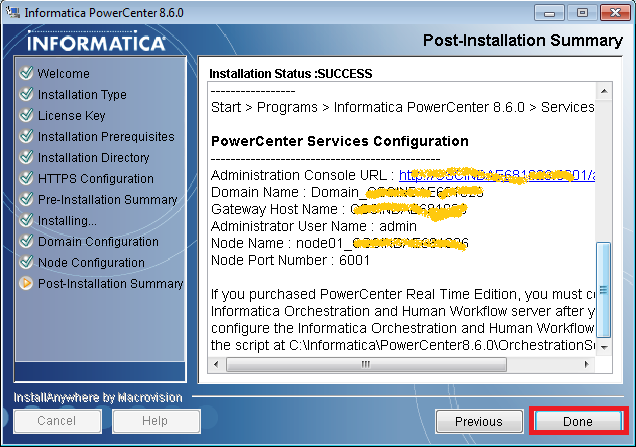 How to open Informatica Admin Console? 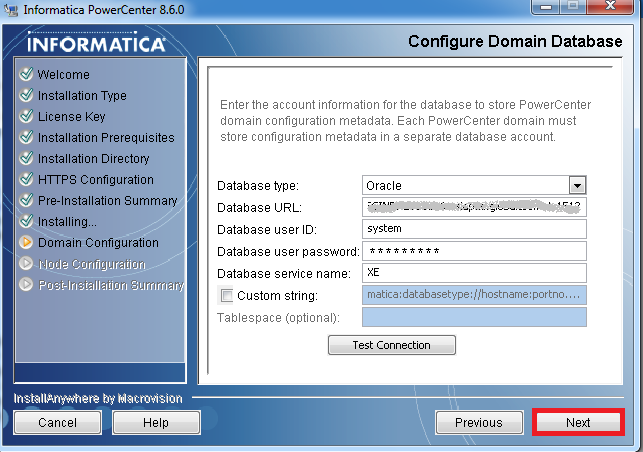 How to check the status of Oracle Database? 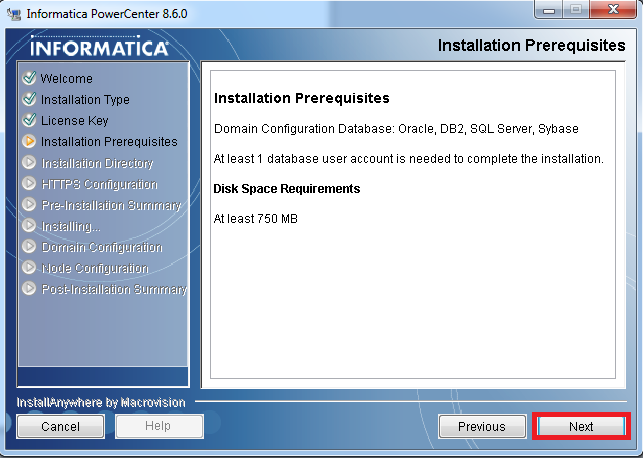 How to create database using SQL? How to get parent id from the URL in Salesforce? How to add subgroup in Salesforce? 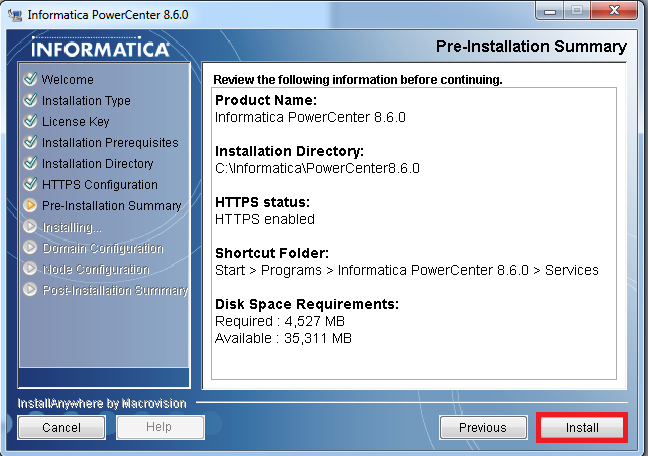 How to update Mozilla Firefox? How to right align in apex:pageBlockTable?